Back for its second year, the Dew Tour Team Challenge brings the industry’s top ski teams head-to-head. Each team brings three athletes in addition to a team captain, to compete in three different disciplines. Team Head Skis, who took third place last year is back to take another shot at the podium. 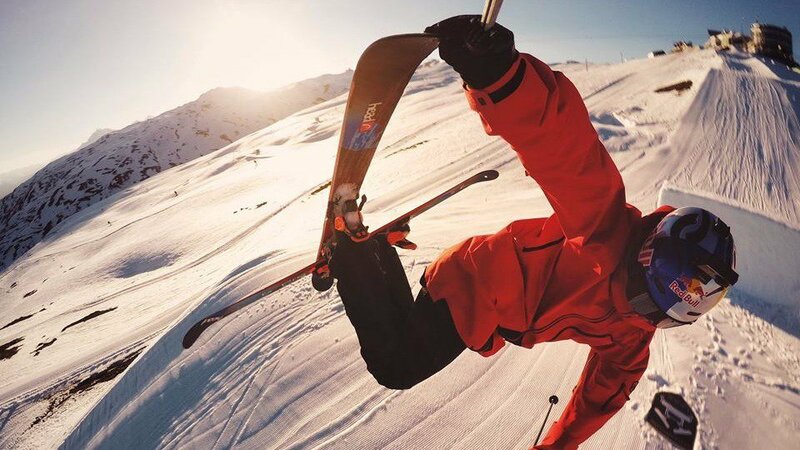 Jon Olsson will be the team captain, with Jesper Tjäder on jibs, Evan McEachran on jumps, and Aarons Blunck on pipe. https://www.newschoolers.com/videos/watch/885871/Aaron-Blunck-wins-Men--39-s-Ski-SuperPipe-goldAaron Blunck is 21 years old, and hails from Crested Butte, Colorado. He was the youngest member (at age 17) of the USA Halfpipe team during the 2014 Sochi Olympics, where he placed 7th overall. This past winter, Blunck earned his first X Games Halfpipe Gold Medal in Aspen, Colorado. Although he’s pretty young, he has years of experience under his belt and we can expect a smooth yet technical run, just like we saw in the individual event, where he took second place. Evan McEachran is 20 years old and grew up in Oakville, Ontario. McEachran is a young gun who’s name we’ve gotten to know real well over the past few seasons. In addition to seeing him at the big name competitions, you can find him dropping hammer edits throughout the season as well. He’s fresh off a second place at the 2017 Stubai World Cup, so we look forward to watching him carry his momentum into Dew Tour. Last and certainly not least is perhaps one of the greatest jibbers of our time, Sweden's Jesper Tjäder. He might not be everyone's cup of tea, but his talent is undeniable. It’s impossible to choose one single edit or clip that embodies Tjader’s skiing style, but if you’re interested in trying, check out five of his greatest moments. However this is what we do know- no matter what he brings to the table this weekend, it’s going to be big, creative, and executed flawlessly. Is Team Head Skis going to take the title this year? Let us know and check out the Team Challenge on Sunday to find out. It all kicks off at 8am Mountain Time.